The Council for Responsible Sport (Council) announced that the 2018 Monterrey Powerade Marathon has achieved gold level certification. The 2018 event hosted participants in Monterrey, the largest city of the northeastern state of Nuevo León, México during the second weekend of December and is organized by the Association of Running Clubs of Nuevo León and Arca Continental. Tampa, Fla. (February 5, 2019) -- For the first time in Tampa Bay major event history, the Tampa Bay Local Organizing Committee (TBLOC), TECO Energy and Amalie Arena will team up during the 2019 NCAA® Women’s Final Four® in pursuit of the prestigious sustainable event certification, presented by the Council for Responsible Sport. The Council for Responsible Sport is the world’s leading sustainable sports certification program, offering three core programs that help manage, measure and deliver purposeful events that go above and beyond the bottom line. The certification process recognizes efforts across five pillars of responsible sport; planning and communication, procurement, resource management, access and equity, and community legacy. To lead the efforts, a subcommittee consisting of community partners, local experts and sustainability thought leaders have been chosen to help guide the process and elevate Tampa Bay’s innovative green initiatives. The robust subcommittee consists of representatives from the following organizations: TECO Energy, Amalie Arena, Tampa Bay Sports Commission, City of Tampa, Hillsborough County Parks & Recreation, the University of South Florida Patel College of Sustainability, Strategic Property Partners, Tampa Convention Center, Keep Tampa Bay Beautiful, Feeding Tampa Bay, Hilton Tampa Downtown, Grand Hyatt Tampa Bay, Westin Tampa Bay, Westin Tampa Waterside, Renaissance Tampa International Plaza, The Recycling Partnership, and Resource Recycling Systems. "Sustainability applied to events is much more than recycling. The TBLOC and its partners are going through a robust process of putting systems and plans in place that are tailored to ensure accessibility to the event and ancillary activities, weigh the environmental impacts as part of purchasing decisions for good and services, engage and inspire local youth, and elevate local businesses to maximize positive local economic impact--and to have those efforts verified according to industry best practices put forth by the Council for Responsible Sport,” said Shelley Villalobos, Managing Director of the Council for Responsible Sport. Over the upcoming months, community partners will provide support and host events designed to achieve the TBLOC’s social and environmental goals. Notably, TECO Energy will provide renewable energy offsets, helping produce a carbon neutral championship at Amalie Arena on April 5 & 7, 2019. The Tampa Bay Sports Commission (TBSC), host of the 2019 NCAA® Women’s Final Four®, is a 501(c)(3) not-for-profit organization dedicated to creating social and economic impact through sports and entertainment in the Tampa Bay Area. As part of the championship efforts, the Tampa Bay Sports Commission provides local expertise, marketing and event management, and is responsible for raising the funds required to produce the Women’s Final Four and all supporting events. The 2019 NCAA® Women’s Final Four® will be held at Amalie Arena from April 5 -7. For more information on game tickets, please visit ncaa.com/womensfinalfour. For more informationon event festivities, sponsorship, or volunteer opportunities, please visit wfftampabay.com. For news and event information, follow the TBSC on Facebook, TwitterandInstagramorsubscribe to the #WFFTampaBay newsletter. Two individuals recently accepted invitations from the Council for Responsible Sport (Council) to join the non-profit’s volunteer board of directors. The two newest members to join the working board are Bridget Franek, a U.S. Olympian and civic development professional based in Eugene, Oregon and Rico Tesio of Ft. Meyers, Florida, who co-founded Blue Strike Environmental, a community engagement and sustainability consultancy. “I was excited to be invited to the Board of Directors for the Council for Responsible Sport. Our world faces significant challenges and we all have to work together if we want to see things change for the positive. I have lived my whole life through the lens of sport and I believe very strongly in its influence in society. I am honored to get this opportunity to help move the needle towards a more responsible, sustainable world” said Franek. 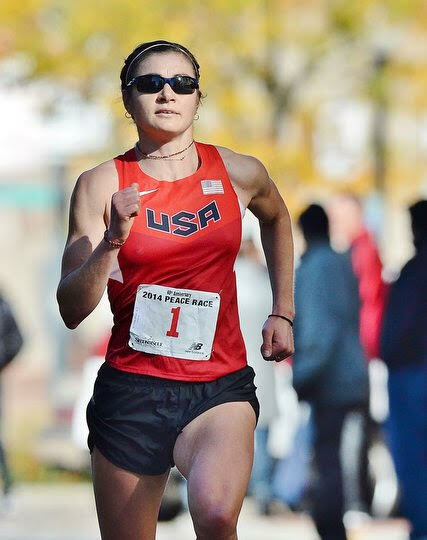 Franek grew up on a small farm in rural Ohio and went on to earn a Bachelor’s degree in Kinesiology at Penn State University where she was a 10-time NCAA Division 1 All-American in Cross Country, Indoor Track and Outdoor Track. After graduation she placed in the top 3 spots at the US National Championship in the women’s steeplechase event, she represented USA in the IAAF World Championships in 2009 and 2011. In 2012, she qualified for the London Olympic Games where she made it into the finals and placed 14th. Franek then earned an MBA from the University of Oregon in Sports Marketing. Her last major race was the US Olympic Trials in 2016, where she placed 6th. Following her own athletic career, she moved back to Northeast Ohio to coach women’s Cross Country and Track at the University of Akron. She now works in a community development role with the Eugene Civic Alliance in Eugene, Oregon. Rico Tesio has over 15 years of experience working in event operations and has led sustainability programs at multiple PGA TOUR events and marathons. This experience provides an intimate knowledge of high-level organizational commitment and budget restrictions placed on sustainability programs. Most recently, Rico served as a Sustainability Consultant for the Sacramento Running Association and assisted them in being recognized by the Green Sports Alliance as a 2018 Innovator of the Year. A native of Oklahoma, Rico holds a degree from Oklahoma State University. “I joined the board for the opportunity to work alongside respected leaders in the responsible sport movement. I believe that sports are the perfect platform to inspire positive change in our environment and our communities. I'm looking forward to championing the Council during my term” said Tesio in a statement. Franek and Tesio were formally confirmed to the board at its September directors meeting, expanding the group from seven to nine members that span the sports and sustainability fields in the private and public sectors. They participated at the Council’s annual leadership retreat in November. The movement towards greater social and environmental responsibility in sport took another international step forward this week, as the Council for Responsible Sport (Council) announced that the 2018 Telcel México City Marathon (Telcel CdMx Maratón) has achieved Evergreen level certification. The Bank of America Chicago Marathon has earned Inspire certification at the Evergreen Level from the Council for Responsible Sport, an Oregon-based non-profit promoting sustainability in sports. The Council’s Inspire program formally recognizes the successful implementation of socially and environmentally responsible practices over at least four consecutive event years. September 18, 2018, CHICAGO – The Bank of America Chicago Marathon is partnering with Chicago’s Shedd Aquarium to take on the issue of reducing single-use plastic pollution by joining the aquarium’s Shedd the Straw initiative for the 2018 Chicago Marathon on October 7. 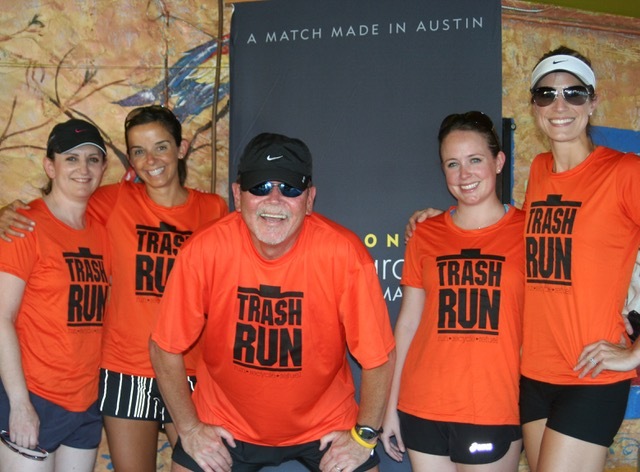 The partnership aims to reduce plastic use and encourage more sustainable alternatives for marathon participants, vendors and hotel and restaurant partners. This sustainability initiative is designed to help protect water systems and the animals that live in them by highlighting the dangers single-use plastic straws pose to aquatic life and will provide an educational awareness to the many runners and partners that support the race. One way the organizations hope to make an impact is by asking all Chicago Marathon hotel partners, restaurants and vendors to join the aquarium’s Shedd the Straw initiative for race weekend and hopefully, permanently. Participation involves serving straws only upon request and switching to compostable options such as paper straws. The aquarium asks that participating businesses retain some plastic straws on site for anyone who might still require one. The cause encourages people who don’t require a plastic straw to consider using a more environmentally friendly alternative or ditching the straw entirely. Information will be available race weekend at the Abbott Health & Fitness Expo, encouraging race participants, spectators and fans of the sport to learn more about Shedd the Straw. Straws are one of the top 10 most common items found in beach clean-ups across the Great Lakes, and are part of the 11 million pounds of plastic waste that enter Lake Michigan each year– the equivalent of 100 Olympic-sized swimming pools. Because plastics cannot biodegrade, they simply break down into smaller pieces over time and endanger wildlife that might accidentally ingest the plastic or become entangled in it. Plastic bags and bottles are additional offenders, which can easily be replaced with more sustainable, reusable alternatives. The aquarium’s Shedd the Straw initiative began last year on Earth Day, when Shedd Aquarium launched its campaign encouraging people to switch from single-use plastic straws to reusable or biodegradable alternatives. Since then, more than 160 local restaurants have signed onto the cause, as well as larger organizations like the Chicago White Sox and Loews Chicago Hotels. ABOUT BANK OF AMERICA CHICAGO MARATHON In its 41st year on Sunday, October 7, the Bank of America Chicago Marathon welcomes thousands of runners from more than 100 countries and all 50 states, including a world-class elite field, top regional and Masters runners, race veterans, debut marathoners and charity runners. The race’s iconic course takes runners through 29 vibrant neighborhoods on an architectural and cultural tour of Chicago. Annually, an estimated 1.7 million spectators line the streets cheering on more than 40,000 runners from the start line to the final stretch down Columbus Drive. As a result of the race’s national and international draw, the Chicago Marathon assists in raising millions of dollars for a variety of charitable causes while generating $282 million in annual economic impact to its host city. The 2018 Bank of America Chicago Marathon, a member of the Abbott World Marathon Majors, will start and finish in Grant Park beginning at 7:30 a.m. on Sunday, October 7. In advance of the race, a two-day Abbott Health & Fitness Expo will be held at McCormick Place Convention Center on Friday, October 5, and Saturday, October 6. For more information about the event and how to get involved, go to chicagomarathon.com. ABOUT SHEDD AQUARIUM The John G. Shedd Aquarium in Chicago sparks compassion, curiosity and conservation for the aquatic animal world. Home to 32,000 aquatic animals representing 1,500 species of fishes, reptiles, amphibians, invertebrates, birds and mammals from waters around the globe, Shedd is a recognized leader in animal care, conservation education and research. An accredited member of the Association of Zoos & Aquariums (AZA) and the first U.S. aquarium to be awarded the Humane Conservation™ certification mark for the care and welfare of its animals by American Humane. The organization is an affiliate of the Smithsonian Institute, and is supported by the people of Chicago, the State of Illinois and the Chicago Park District. More information is available at www.sheddaquarium.org. NCAA Women's Final Four in Columbus Goes “Beyond the Baseline." Way Beyond. The definition of success for hosting major sporting events is changing. Fiscal, social and, as of late, environmental responsibility are making a comeback.